Daily Devotions: Revelation 22: The Last Word...or the Lost Word? Revelation 22: The Last Word...or the Lost Word? “Oh, heavens, the Book of Revelation is a mess!” the dean said. “Nobody knows how to read that." 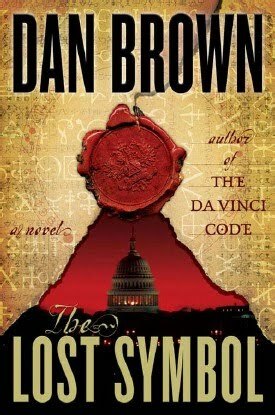 In this scene from Dan Brown's latest thriller, The Lost Symbol, Professor Robert Langdon and the Reverend Colin Galloway engage in a classic scriptural debate: just what on Earth (or in Heaven) does this book mean? Is Revelation in fact a divine message or just a godawful mess? Much of the action in The Lost Symbol hinges on the tension between the literal interpretation of codes and ciphers, and the layers of true meaning which underlie the literal. For thousands of years many have tried to read John's Revelation as a coded guide to unfolding history. Numerous schemes have sought to decipher the number '666' to reveal the name of a pope, a potentate, or a president. All, thus far, in vain, because at the heart of all the would-be mapmaking and codebreaking is a desire to do what is plainly warned against here in chapter 22: to add manmade words to the divine Word. This is the end of The Book. There will be no further words of Holy Scripture. Enough has been written and the message now goes out to the seven churches in Asia (Minor) and from them to the wider Church: Come. Here is your share in true life and in the community of all the saints. Come as you are--no more but no less. Just Come. "The Apocalypse is not the end of the world, but rather it is the end of the world as we know it." Even so, Come quickly Lord Jesus. Maranatha!